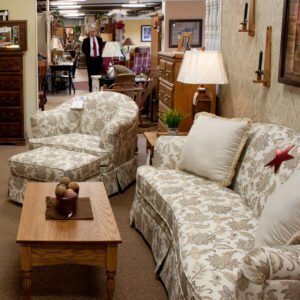 Fireside Furniture has one of Northeast New Jersey’s largest selection of made in America furniture displayed in fully appointed room settings. At Fireside Furniture we know from experience that a furniture store with nice displays is the best way to shop. A furniture store with nice displays lets you end up with furniture that looks good in your home and works for you. We promise a “no pressure” shopping experience – We really are “here to help.” Come in and see for yourself. Fireside Furniture is conveniently located in Northeast New Jersey on NJ Route 23 South, one mile from Interstate Route 287 EXIT 52A and only a few miles north of Interstate 80 . Directions. Our delivery service is second to none. Our trucks are furniture dedicated and never transport used bedding or used furniture and we deliver throughout the New York City Metro Area including Western CT. More about our delivery service.